If you’ve ever hired for a customer service position, you know how important it is to settle on the right candidate. And since customer service employees are the face and voice of your brand, it’s definitely something that you can’t afford to get wrong. Unfortunately, interviewing for customer service positions is nothing like evaluating for hard skills found in other roles. Worse yet, many businesses still see customer service is an easy, entry-level job which anyone should be able to do. Yet the customer service stories we hear from Zappos to Disney go contrary to that. They empower employees with the right knowledge, skills and responsibilities to make important decisions on behalf of the company. 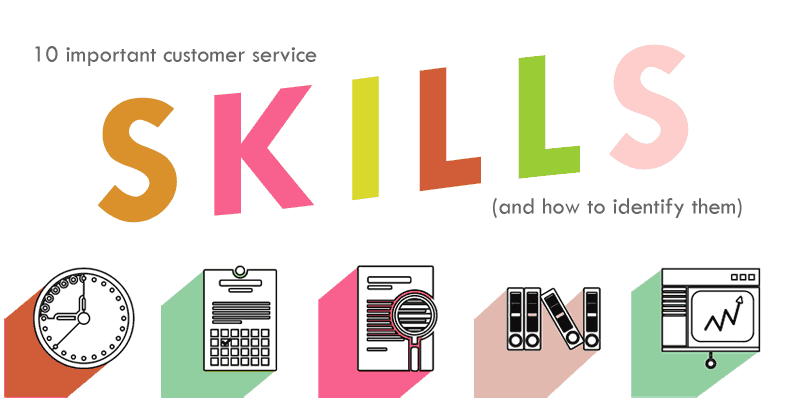 We’ve compiled a number of customer service skills you may want to look out for, how they work in the real world, and what to ask your potential hire. No matter how rapidly technology advances, and how life-like chat bots become, they won’t be able to replicate genuine, human connections. When a customer is having problems connecting to your service, don’t brush them off after a few failed attempts. Imagine this as an issue you could run in at home. Wouldn’t you want customer service to do everything humanely possible and stay with you until everything is fixed? Was there a difficult customer situation where they had the responsibility to turn around? Was there a support interaction that truly “wowed” the customer? Did a customer ever turn out to be an advocate? How did it turn out? Everyone seems to agree that listening is important, but everyone has different opinions about what it means to be a great listener. Customers might ask “How do I search?” or “Where’s setting x?”, but a smart support rep will hear “Your UI needs improvement”. It’s important to recognize these details, file them away and relay them to the project manager to consider. Then, contact the customer once the fix has been applied. What is their level of experience in customer service positions? What is their body language when listening? Do you have their full attention? Are they giving you an unrelated answer? Are they not asking for clarification when needed? We prefer to deal with people we know, appreciate and trust. In the modern world of web-based businesses, one doesn’t have to know or even like you in order to do business with you – yet trust still reigns supreme. The best customer service reps understand that they cannot fall hostage to either the company or the customer. However, many companies make the deadly mistake of promoting language like “your call is important to us” and “customers are our highest priority” while failing to live up to these claims in every sense of the word. Was there a time they were wrong and had to apologize to the customer? Did they ever have to ask management about improving support process / delivery? Was there a situation where they had to go against company policy to make a customer happy? Some people are natural “glass half full” types. They are comfortable in their own skin and are really passionate about making the customer feel great at every chance they get. Many brands subscribe to the approach of “hiring for attitude and training for skill” and for good reason. While it’s important for employees to adjust the tone of voice, language and behavior to a specific situation, you can’t do it forever. A positive attitude can’t be faked – as emotional labor (emotional effort required to do so) may be too great. We all have “red flags” or “pet peeves”. What are the things that irritate them in life? How do they reaffirm positive truths about themselves and their work? When they have a bad experience at home or work, do they feel negative over other parts of their life? Customer service roles depend on solving problems at their core – resolving a wide array of issues customers may be faced with. When scenarios fall outside of scripted ones, it becomes crucial for a support rep to know when to do something and when not to. Sometimes support reps need to make important decisions, such as whether to call or send an email. When support employees are empowered to make such decisions (this can include account management, escalation, reward programs) the customer experience improves as well. In what cases would it be beneficial to pro-actively reach out to customers to warn them? What clues, feedback or complaints can they pick up from sample support interactions? In what case can they publish an article, perform a tutorial or set up an automatic response? Ask any support employee and they’ll tell you no matter how long you work in support, no interaction is ever the same. A colleague shared an experience at a particular hotel she was visiting. As she was waiting for her luggage, the reception clerk made small talk, asking what brought her to Boulder. It was an innocent question that led to them discussing everything from the weather, their in-laws and dealing with noisy children. In the end, this experience stuck out in her mind long enough for her to recommend the hotel to those in her social circle. Did they ever tell a customer “no”, yet offered a workaround that solved the problem? 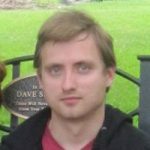 Were there support interactions that generated actionable feedback? Are they comfortable with making decisions that could extend beyond their responsibilities? Customer service tends to be an emotionally draining and sometimes even thankless job. As a result, keeping your resolve is an important character trait of every support employee. Don’t be afraid to spend quality time with the customer. Take the time to dig up personal information, find out how they’re using the product and what their objectives are. Providing the customer with a personal and unique experience won’t seem like a chore and they’re less likely to notice the length of the support interaction. How would they reassure an impatient, irrational or upset customer? What are some examples where they reduced customer effort? How do they keep customers engaged during downtime or long waiting periods? When you choose to set yourself apart with good customer experiences, your are unwittingly making a decision to do something that isn’t easy. The right support representative should know how to nudge, upsell and close properly. This doesn’t mean that support reps are supposed to push for a sale – rather, they should know how to influence a customers so they make a decision that’s in the company’s as well as the customer’s interest. When is the right time to hang up or finish the support interaction? Did they ever have to call out a dishonest, abusive or unreasonable customer? Have they ever made upsell, downsell or a recommendation based on the customer’s real needs? If your support rep doesn’t have a thorough, hands-on knowledge of the product (this also includes extensive technical and troubleshooting knowledge), they won’t be able to help the customer, either. Even if they seem like second nature around the office, many concepts behind your product can be really confusing to customers. Richard Feynman and Carl Sagan were famous for being able to easily explain complex concepts to people from all walks of life. This ability greatly boosted their authority on the subject, never mind their popularity. What are their hobbies? Do they have any personal interest in your product? What was the most difficult thing they had to learn in a customer service role? Were there any customer service situations which were solved by their knowledge of the product? One fatal mistake most businesses make is thinking of customer service as a dead-end or entry-level job. Any time you sincerely want to make a change, the first thing you must do is to raise your standards. When you change what you expect out of yourself, others will take notice – especially your customers. Where do they see yourself five years from now? How do they define success in their opinion? What do they consider the most important thing in their career? Good candidates tend to know they’re good. That’s why they’re looking for forward-thinking companies with great culture and growth potential. When outlining your job description, ensure you communicate your culture, values and describe your work environment as clearly as possible. Customers won’t buy from a company they don’t trust. Employees won’t work for a company that isn’t connecting with them. Indicate that you’re hiring in personal and in company social media profiles. Ask your customers for referrals and provide referrals for those that ask, too. Hiring the best in any field is hard work – but finding the right people is only part of building a great team and getting customers to stick with you. So if you’re looking for big shoes to fill, it’s your responsibility to dissect the unique skills and talents employees bring to your company. It can mean a difference between hiring a helping hand or a go-getter who will make customers fall in love with your company.